For Austin-based social media mogul Genevieve Padalecki, the idea of parenthood always came with certain expectations. As soon as she became a mother herself though, she quickly realized that in reality, motherhood isn't as neatly packaged as she had initially thought. But with every inevitable hiccup and small victory with her three (super adorable) kids, she came to learn just how strong she was and how there is beauty in being authentic — as in, in being vulnerable — every step of the way. What helps make her multifaceted world a lot more manageable? Denim she can rely on to feel confident in both style and performance. The staple jeans in Genevieve's closet are none other than 7 For All Mankind's Luxe Vintage jeans, made with LYCRA® dualFX® fabric — a vintage-inspired style with the comfort and flexibility she needs as a mother always on the move. 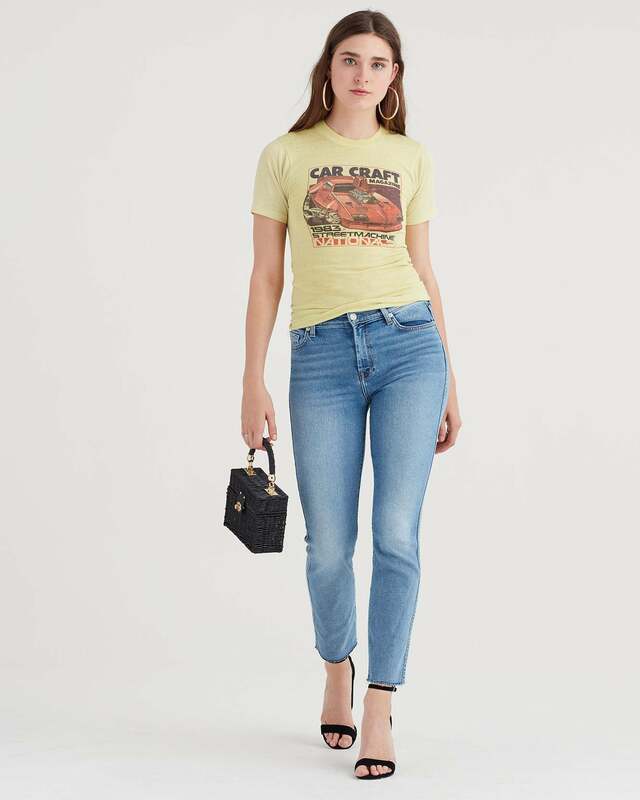 These are the kind of jeans that make getting dressed in the morning just one less thing to worry about and one more thing to feel unapologetically good about. Watch how Genevieve does it all in the video above — because at the end of the day, it's what's inside that matters most, and being comfortable in your own skin never goes out of style.